This may surprise you but my advice on how to deal with cravings is to EAT what you are craving. That kind of sounds like the opposite of what you should do if you’re trying to lose weight. When it comes to weight loss, the simple equation is eat less and move more. It’s really that simple. It took me a long time to come around to realizing that but once I did it made the process easier. I no longer felt like I was fumbling around trying to figure out what the magical secret was to weight loss. I discovered it and it worked. I COULD lose weight. Eat less, move more. This is not to say that cravings weren’t the bane of my weight loss journey. Boy were they ever! 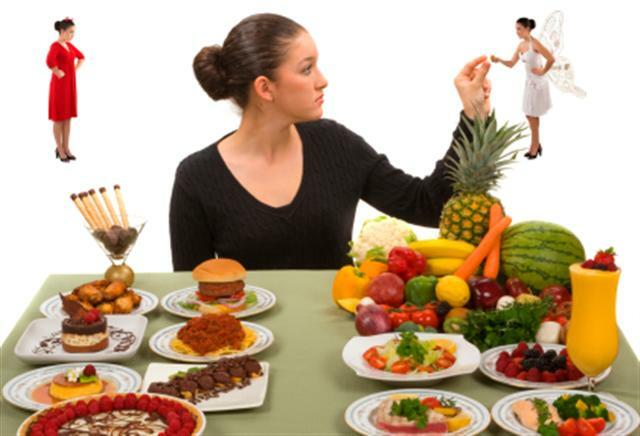 When you’re used to eating whatever you want, whenever you want, in large portions, the idea of denying cravings is ridiculous. Why would I? I’m craving a big piece of chocolate cheesecake. I’m going to drive to the grocery store at 8pm at night and buy it. In fact, since I’m there, why not buy a few more pieces for tomorrow so I won’t have to come back? The trick with giving in to cravings is to do so in moderation. If there is something I’m craving, I eat it, but sometimes just having a bite or two of whatever it is I am obsessing about it enough. Half the time I give in to the craving and feel like I didn’t really need or want it. I bet you understand that! I’d give in and have one and in the early days when I wasn’t quite in control of my food and binges yet, I’d have another, and then another. And then my day was blown. I ate too many calories. I’d feel despondent and hate myself, and regret eating even one. Then something changed. I LOST WEIGHT. Seeing progress on the scale boosted my mood and my motivation in ways I never expected. Suddenly I didn’t want to sabotage myself! I wanted to be successful. I wanted to keep seeing a smaller number on that scale each week! Finding this motivation helped me resist the binge eating demons. It didn’t come to me immediately and it took work, but once I got there it got easier to resist the donuts at work or the chocolate cake at a potluck. The point is, for me, if I deny myself something I’m craving I can only hold out for so long. Then it’s days and days of obsession building up in my mind and that leads to a binge. Know the difference between a CRAVING and a HABIT. This is something that went hand in hand with my binge eating. It might surprise you but a lot of the bingeing I did was because of a HABIT. I “always” ate ice cream when I watched movies on the couch. I “always” ordered a pizza to be delivered on Friday nights. When I started working at my job a few years ago I gained some weight because of the truly horrible Candy Room in my office. It was actually a room of candy. And I got into the habit of always having some candy after lunch. Or when I was bored. It became so ingrained that I wouldn’t even think about it, it wasn’t even something I wanted some days but habit made me walk into that room and rummage. Stupid. What a stupid waste of calories. This brought me to another realization: if it doesn’t taste good, spit it out! Don’t just eat something to eat something. So many times I’d be standing in the candy room, trying to decide what to eat and nothing looked appealing; I’d end up eating something I didn’t even want because it was a HABIT. Sometimes going cold turkey is just what is needed to get some clarity. You shouldn’t give in to a craving if you are emotionally distressed. This is a big pitfall. 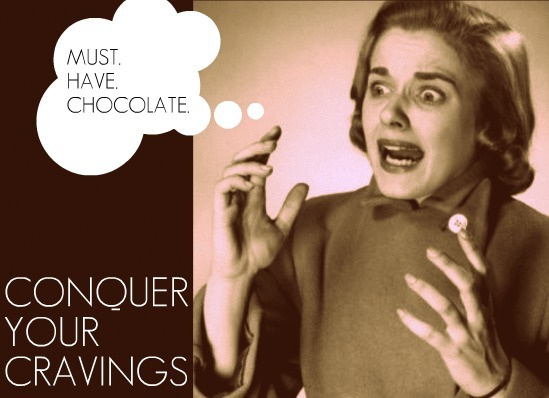 Emotional stress, a bad day–emotional eating can lead to binges and then self-loathing. We’ve all gotten stuck in that cycle! This is not the time to experiment with eating your cravings in moderation. With that stress weighing on your mind, it will get harder to think rationally. Another time you shouldn’t give in to a craving is in the first stages of your weight loss journey. It takes time for good habits to click and become something you can fall back on. The “everything in moderation” didn’t actually work for me for a good six-eight months in the beginning of my weight loss. I didn’t trust myself to stop after a few bites and so I didn’t give in to the cravings. It made me stronger! Give yourself some time to get used to the healthy eating lifestyle. Then slowly reintroduce some of those lavish things. See how you do. Of course everyone is different and not every method always works for everyone. It works for me because I know I will crave some chocolate at the end of the evening. The most satisfying, delicious dinner is not complete in my mind without a dessert. So I leave myself some calories at the end of the day for that dessert! I’m currently eating Hershey’s Kisses as my dessert. At first I was worried about having something like that in the house. In the old days it was a big binge-trigger! A big bag of candy! EAT IT ALL. I’m finding that having to unwrap each individual kiss slows me down. I’m eating less of them and I take my time. And I enjoy my half dozen little chocolates. What about you? How do you deal with cravings?